We’ve said it before, but it bears repeating; Google is going all-in on the Pixelbook. Gone are the days of nascent advertising and scant mentions for Google’s own Chromebooks. Instead, we’re now in the time of #madebyGoogle and all the marketing, focus, and exposure that goes along with it. In that vein, Google has already put out 6 videos for onboarding new Chromebook users who decide to purchase the Pixelbook. The videos pull in Todrick Hall and are at the same time informational and entertaining. In just a few minutes, someone who isn’t familiar with Chrome OS or the ins and outs of a Chromebook can at least find some equilibrium pretty quickly. It’s no secret that many of you reading this right now are already fans of Chrome OS and are embedded in the daily use of Chrome OS. These videos won’t teach you anything you don’t already know. Remember, this will be the first real mass-marketed Chromebook. This is the first Google-made Chromebook for the #madebyGoogle era. This will be the first Chromebook a lot of people lend any attention to. In that spirit, these videos are fantastic. They introduce the OS in a simple and straightforward way without being boring. They highlight the maturation of Chromebooks from cheap computing devices to high-class machines that deserves a place in Google’s own hardware lineup. Along with extended support for users post-purchase, small efforts like these to show new users that Chrome OS can be great for them help legitimize the Pixelbook in a market filled with Surface devices and Macbooks. 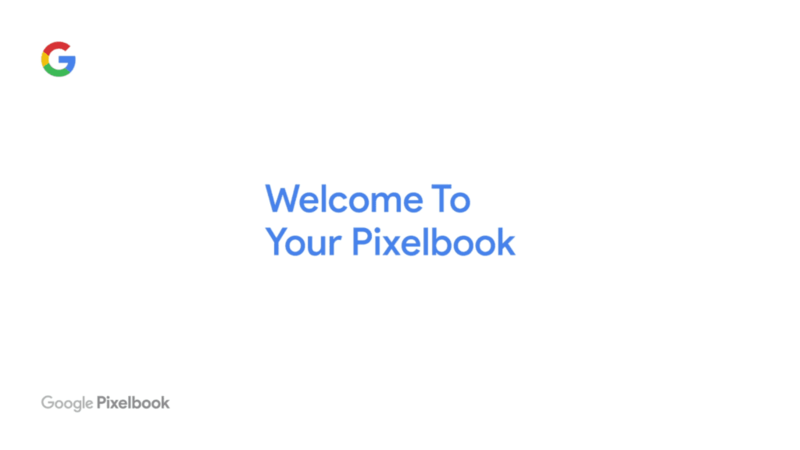 Google has a big hill to climb here, but with the unveiling, awesome landing page, and what should be a robust marketing campaign around it, the Pixelbook is off to a strong start. We’ve dropped in all the videos below if you’d like to take a look. Enjoy!